SBS might not have had a ticket in last night’s OzLotto $70 million jackpot but it has won an even greater prize… more than $158 million over the next five years, as announced in the Federal Budget. The funding boost is in contrast to the 2009 round of triennial funding which saw SBS denied funds intended for improving its digital broadcasting initiatives. 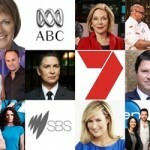 The increased funding for Australia’s second national broadcaster includes $63 million over the next four years to facilitate the network’s launching of a national free-to-air Indigenous channel by the end of 2012. The new channel will largely incorporate the existing NITV, which launched in 2007 but has had limited capacity for market reach. NITV is currently available via terrestrial broadcast only in remote and outback communities with access in larger, more populated areas limited to pay-TV platforms. 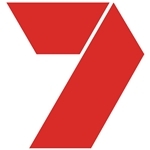 The new channel will be available via SBS digital television across Australia, through terrestrial broadcast as well as the VAST satellite system. The Budget has also allowed additional funding for ABC, in particular to allow Australians in regional and remote areas better access to ABC radio coverage. The funding will also enable ABC to migrate distribution of its radio networks from the Optus Aurora satellite, which will cease at the end of 2013, to the Government-funded VAST system. Australians who have direct satellite-to-home access to VAST will also gain access to ABC’s digital-only radio stations as a result of the transition.